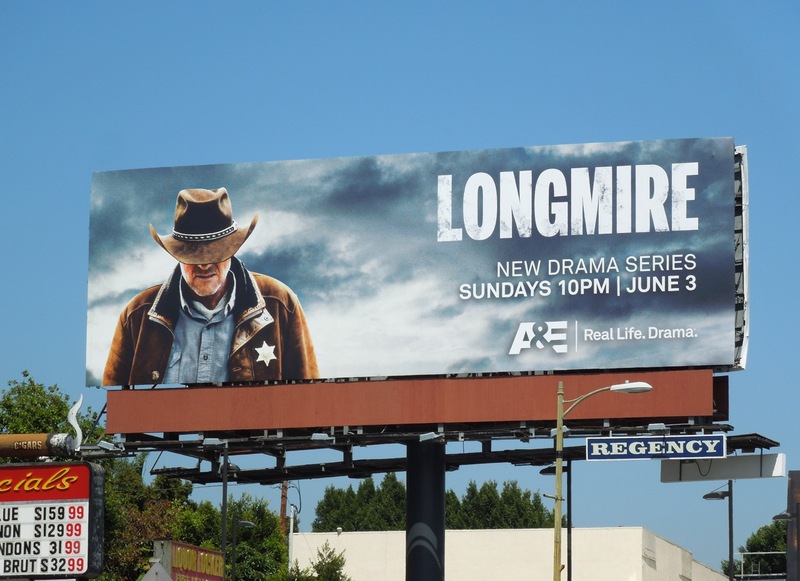 Based on the series of mystery books by best-selling author Craig Johnson with the same title character, Longmire follows the exploits of Wyoming's Absaroka County Sheriff 'Walt Longmire'. 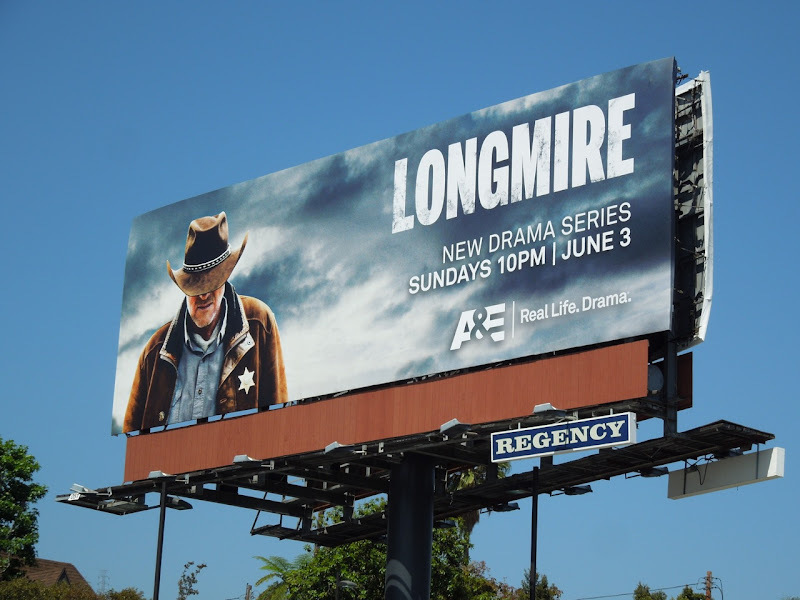 Robert Taylor plays the lawman coping with recently being widowed with a brave face and dry wit, plus with the helping hand of his female deputy (Battlestar Galactica's Katee Sackhoff). 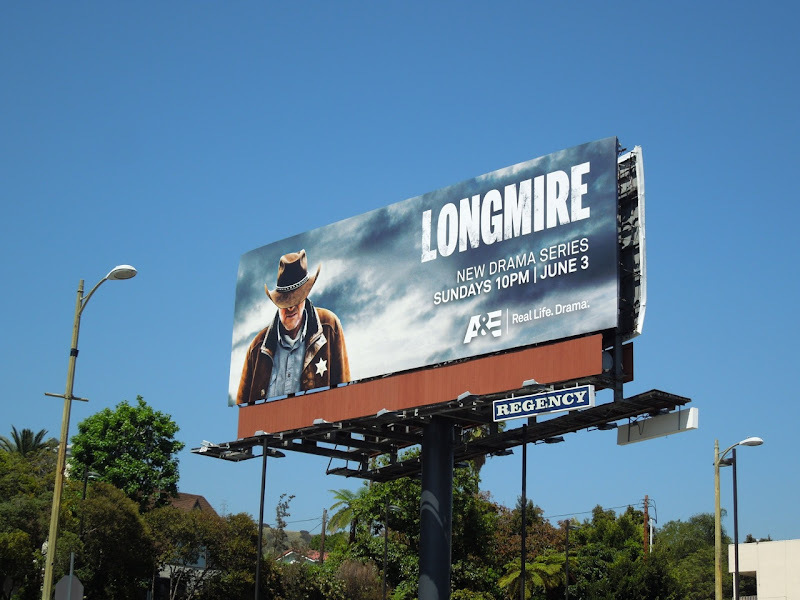 This atmospheric and arresting A&E series billboard was snapped along Sunset Boulevard in West Hollywood on May 22, 2012. 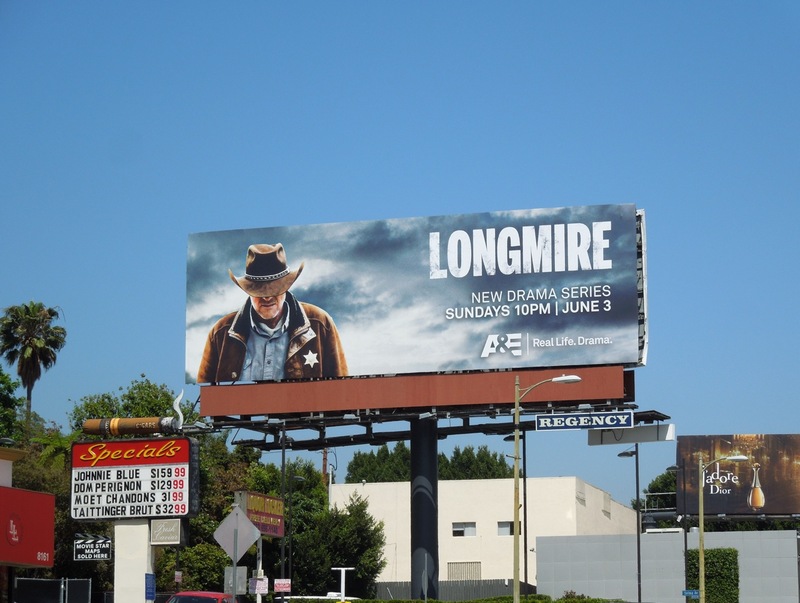 If you like this Western feel TV billboard, you may also enjoy these similar Justified series billboards.